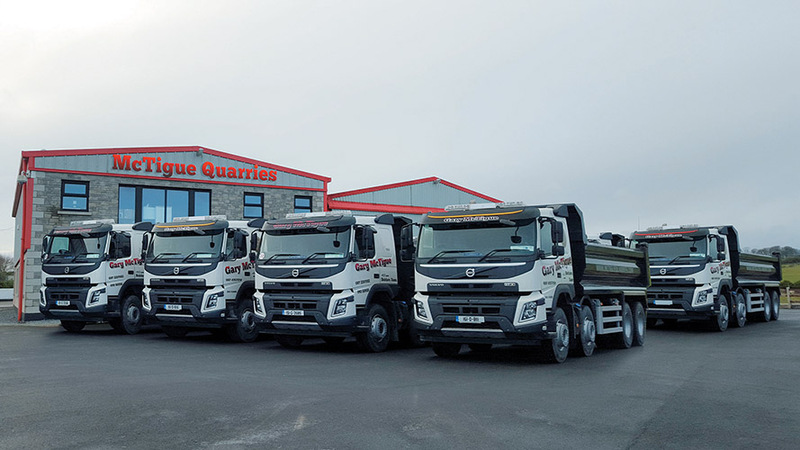 McTigue Quarries Ltd. supply a variety of sand, aggregates, broken stone and top soil for use in construction, road making and landscaping to customers large and small including local authorities, garden centres, builders, and both the commercial and domestic sectors. In addition, as part of their Mobile Crushing business, they provide an all-inclusive service consisting of drilling, blasting and crushing. NSAI-certified, McTigue Quarries Ltd. have a waste collection permit and licensed tip, which means they are licensed to draw away and dispose of waste material from construction sites to their tip. Their client portfolio includes the likes of Roadbridge, BAM and Coffey Construction and they recently finished supplying aggregates to the new Tuam –Gort motorway for Roadbridge. Like the majority involved in the construction industry, McTigue Quarries suffered during the recent challenging economic climate but Managing Director Gary is upbeat when it comes to discussing the company's future outlook. In 2009, due to the economic downturn, Gary McTigue set up an oil and lubricants distribution company, Elite Oil Products Ltd. With the most competitive prices for home heating oil in Galway, including kerosene, and the biggest stock of lubricants and oils, Elite Oil have you covered. Since then Gary has also opened a number of shops and forecourts in the locality. “There was no work there for the past number of years and we had to let people go around 2008/'09,”he remarked. “We were lucky in one sense in that we had a job on in Limerick which wasn't finished until 2009 so we got a bit longer out of the boom than others. “But, encouragingly, business has picked up in the last two years and we were in a position to take on additional employees, bringing our current workforce up to 27. The renewed optimism in the business, and the construction industry in general in Ireland, has given Gary the confidence to update his fleet of trucks and associated machinery and he recently added a number of new Volvo trucks to the business. Continuous investment in plant and specialist equipment enables McTigue Quarries to meet the expectations of their customers. McTigue Quarries' product range includes: Building sand of the highest spec; Aggregate - a mixture of fine sand and chips, used in concrete; Plastering fine grain 3mm sand; Broken chips; Round chips - Size from 6mm to 14mm; Subsoil; Topsoil - also available screened; Clause 804; Broken Stone; Maintenance - crushed stone, used for driveways and foot paths; Gravel Fill; Pea Gravel; Quarry Dust. McTigue Quarries Ltd. are respected for the high quality of their products. Delivery can be arranged or collection can be made direct from the quarry. 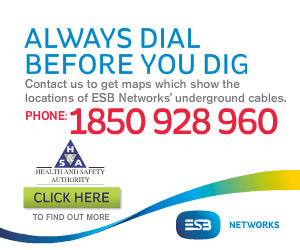 For a no-obligation, free quote on any quarry product call the number below.